IM resident interested in cardiology, critical care, QI, and high value care. Future QI/Research Chief Resident at UTSW. Internal Medicine Resident at UT Southwestern. Critical Care and Ultrasound enthusiast. Dr. Yealy interests cover optimal airway management, predictive risk modeling, and ED care in critical illness. In his over 300 publications, he was lead or senior author on NIH funded efforts in acute pneumonia, pulmonary embolism and sepsis. Keys to his work have been the following themes: How do we assess and treat acute illness? Can we do better? Dr. Yealy leads faculty delivering care to over 950,000 ED and urgent care patients each year. He is Deputy Editor of the Annals of Emergency Medicine, on the executive and steering committees of the newly formed, NHLBI funded PETAL network studying acute lung injury, an leads the NHLBI funded Pitt EM K12 training program in emergency care research. Dr. Angus is Chair of the Department of Critical Care Medicine of the University of Pittsburgh School of Medicine and the UPMC Healthcare System. He holds the rank of Distinguished Professor and the Mitchell P. Fink Endowed Chair in Critical Care Medicine with secondary appointments in Medicine, Health Policy and Management, and Clinical and Translational Science and he directs the CRISMA (Clinical Research, Investigation, and Systems Modeling of Acute Illnesses) Center. Dr. Angus’ research interests include clinical, epidemiologic and translational studies of sepsis, pneumonia, and multisystem organ failure and health services research of the organization and delivery of critical care services. Dr. Angus has led several large NIH-funded multicenter studies in the critically ill, published several hundred papers, received numerous awards for his work, and is the critical care editor for JAMA. 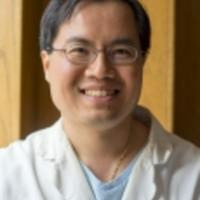 David T. Huang, MD, MPH is an Associate Professor in Emergency Medicine, Critical Care Medicine, and Clinical and Translational Science at the University of Pittsburgh. Dr. Huang trained in Emergency Medicine at Henry Ford Hospital, followed by a CCM Fellowship, NIH Research Fellowship, and MPH at the University of Pittsburgh. 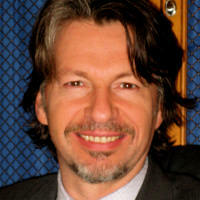 He is a Fellow of the American College of Emergency Physicians and the American College of Critical Care Medicine. 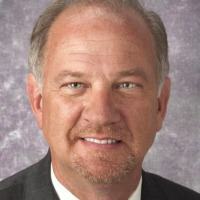 He is director of the University of Pittsburgh MACRO (Multidisciplinary Acute Care Research Organization) Center, director of the CRISMA Center administrative core, and associate director of the Abdominal Organ Transplant ICU. His research focuses on biomarkers and resuscitation of infection and sepsis, ARDS, and the design and execution of clinical trials. He served as Medical Monitor for the ProCESS and ROSE trials, and is the Principal Investigator for the recently completed ProACT trial (Procalcitonin Antibiotic Consensus Trial, 1R01GM101197).